If you like what we do but can't find exactly what you're looking for, then why not request a bespoke solution made to your exact requirements? 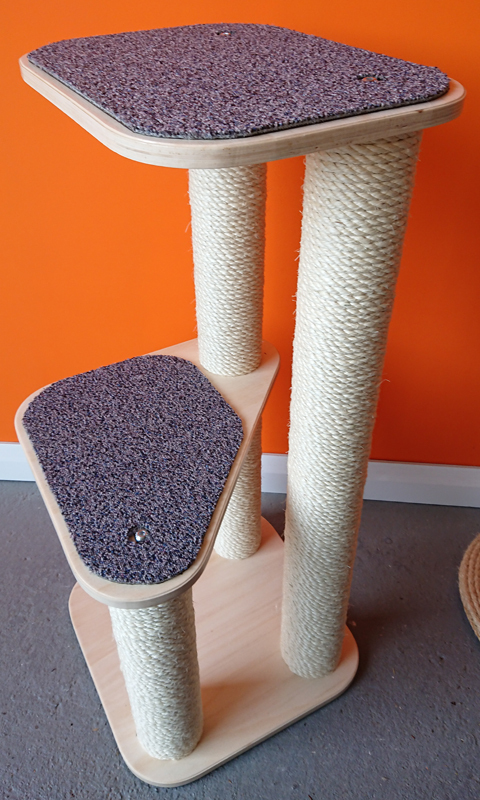 We have a fully equipped wood working workshop and make cat scratching posts from raw materials every single day. 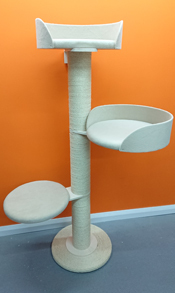 So if you can't find something suitable on our web site - get in touch and let us know what you need and we'll do our best to come up with a suitable solution for you. 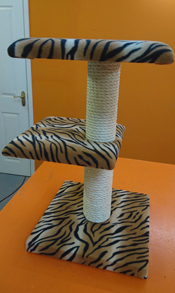 All of the photos shown below were bespoke solutions made to the customers' exact specifications. 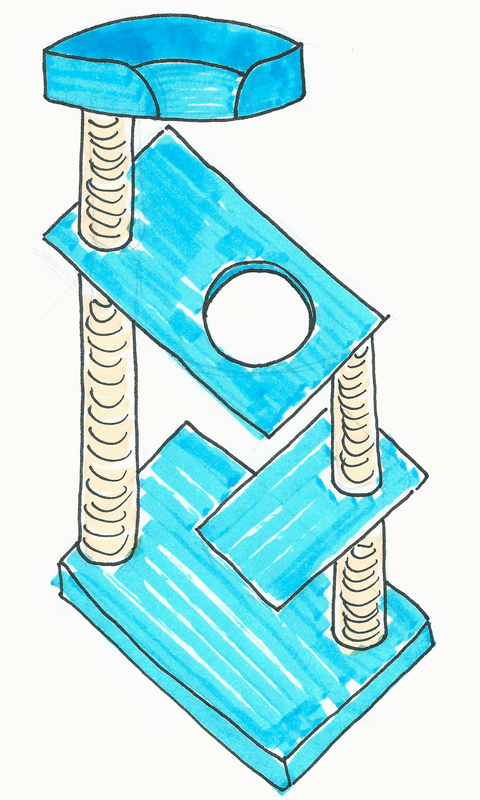 Some are one-off builds, others are variations of existing products. 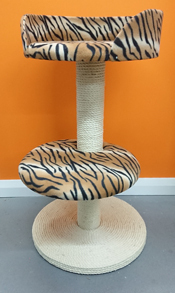 Whatever you need from your custom piece of cat furniture - we can turn your dreams into a reality. 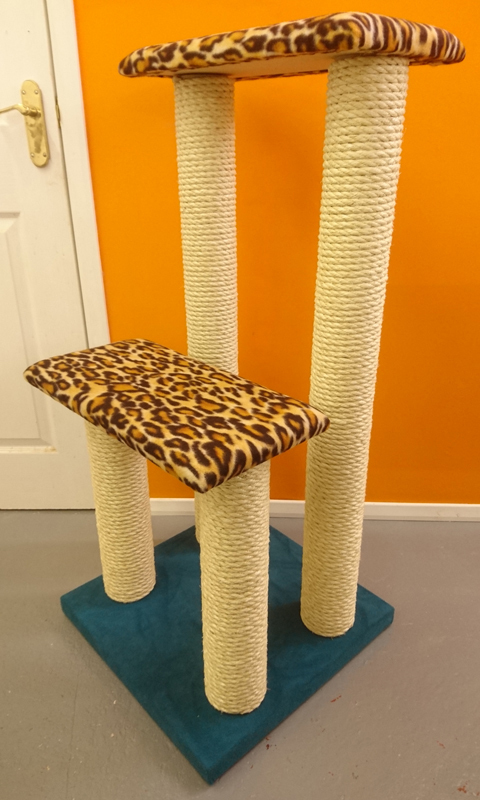 All you need to do is give us as much information about what you're trying to achieve as possible (including measurements). 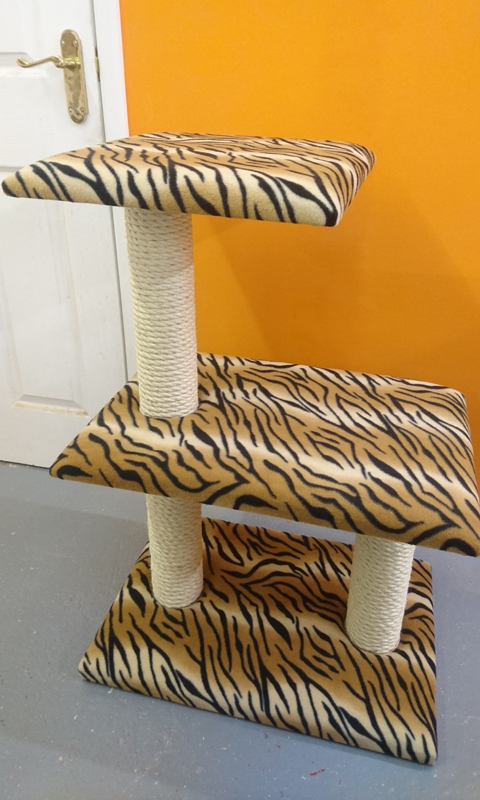 Our customer wanted a set of strong, sturdy and stable steps that her large, heavy cat could use to access a higher sleeping area. 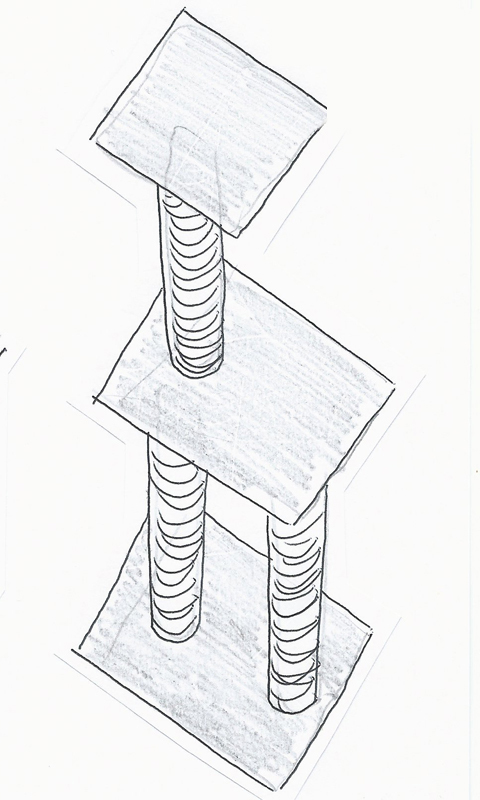 We made an initial rough sketch and once agreed, went to work creating the steps to the customers' precise measurements. 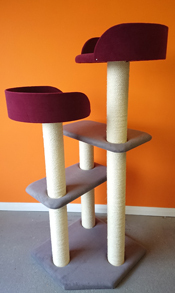 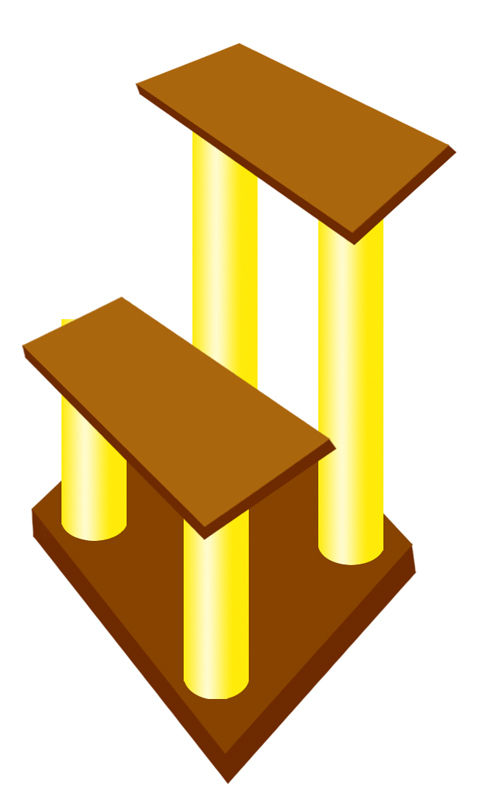 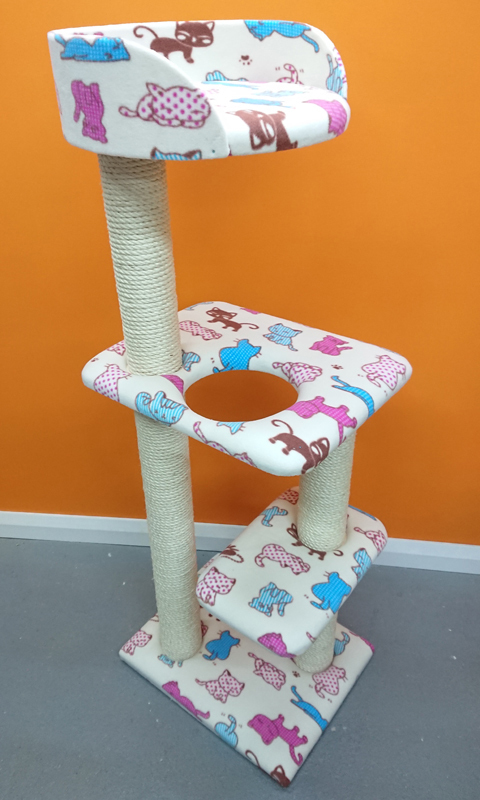 Our customer had a cattery and wanted a sturdy cat tree that was at least 4ft tall but with a tiny 50cm x 40cm footprint with no part of the cat tree overhanging the base. We made an initial rough sketch and once agreed, went to work creating the cat tree to fit the tight space. Our customer had a beach front home and wanted a cat scratching post to resemble a lighthouse. 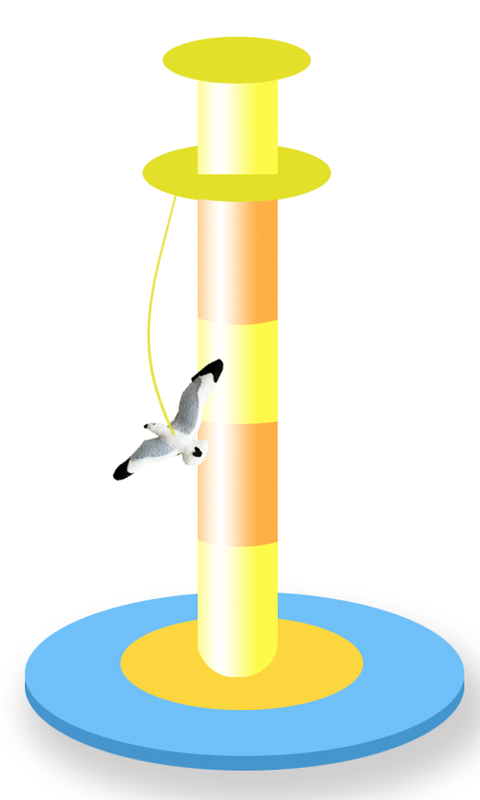 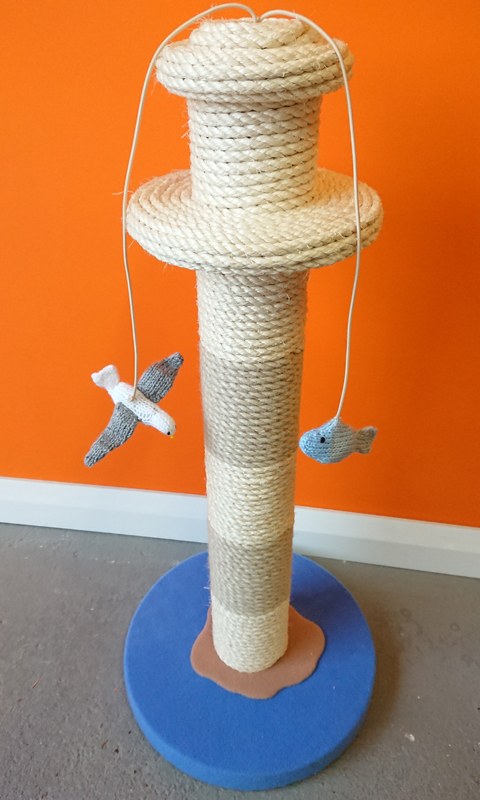 This is right up our street so of course we jumped at the chance and from the initial visual mock up we produced a stunning lighthouse themed cat scratching post to the required measurements. 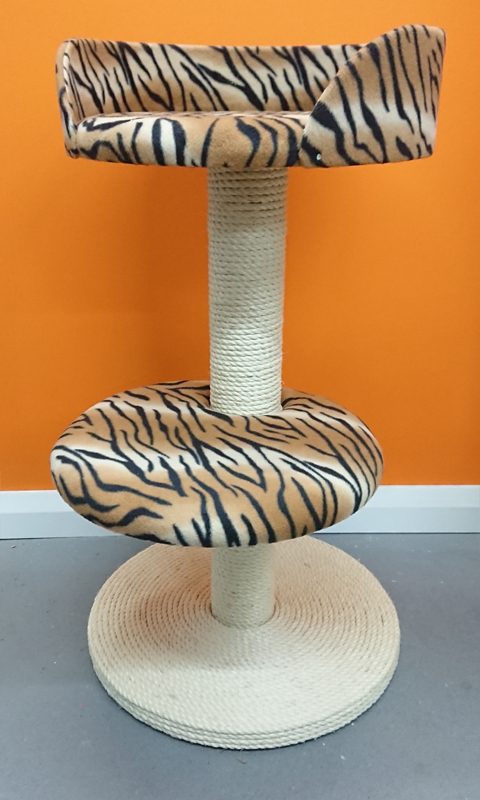 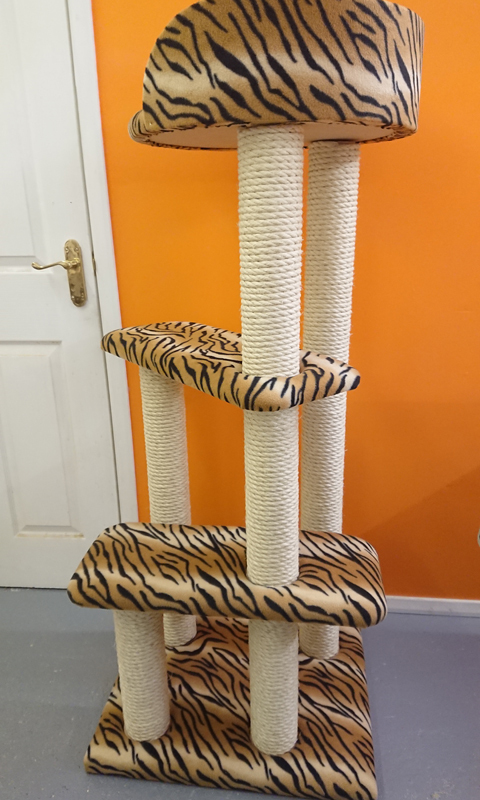 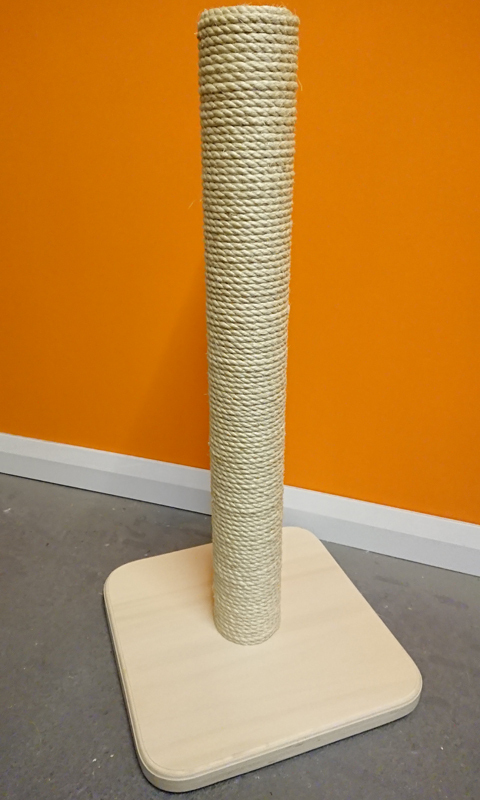 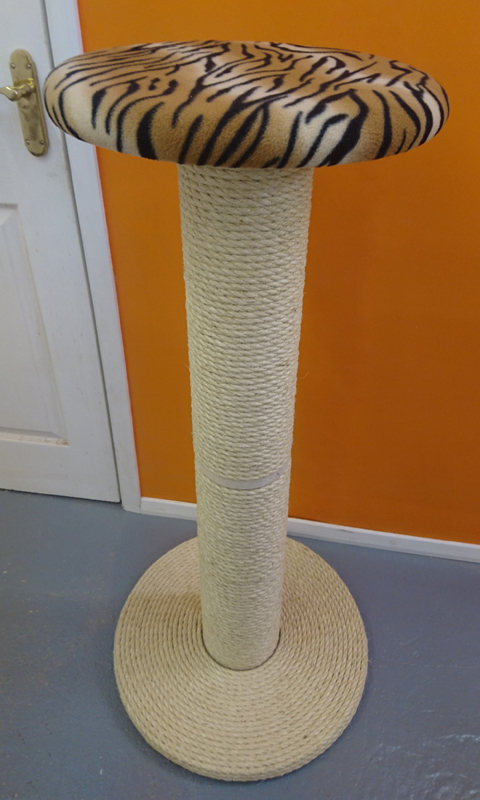 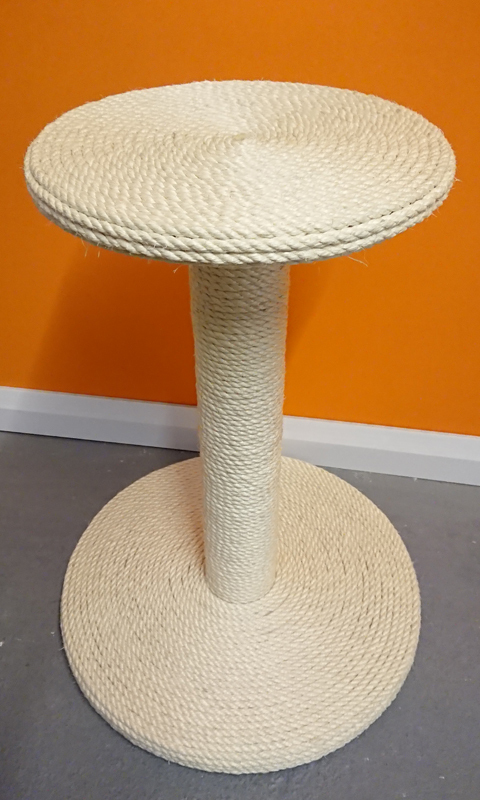 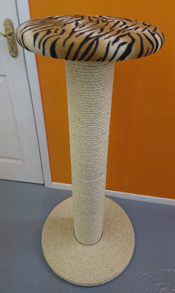 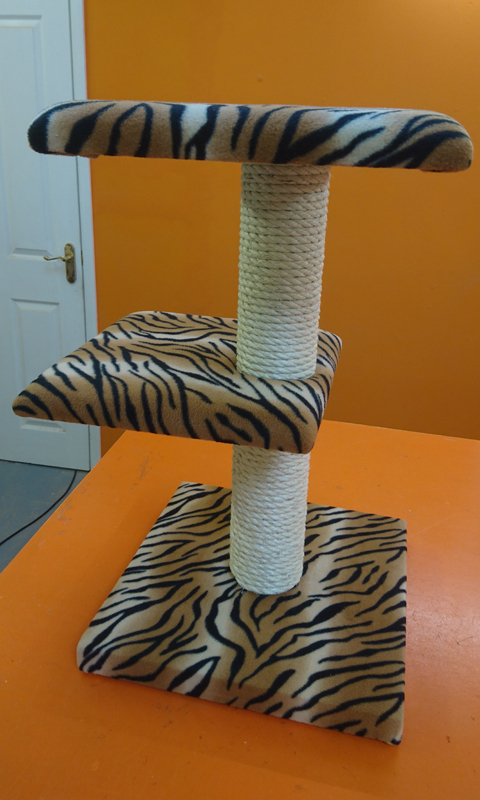 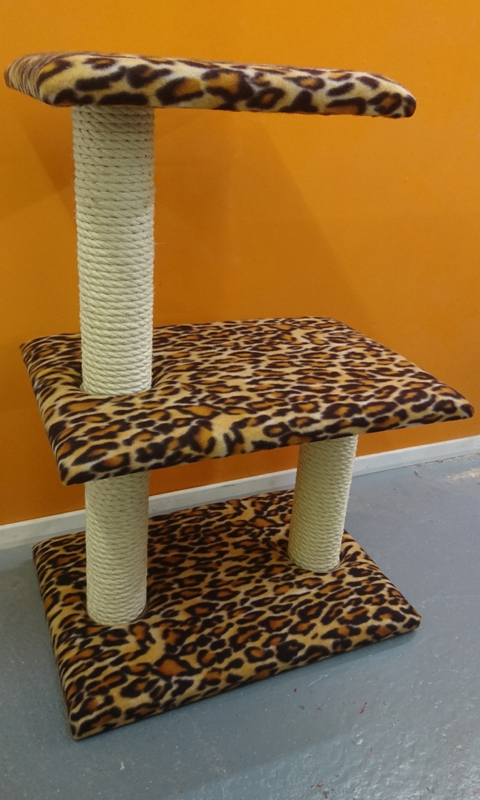 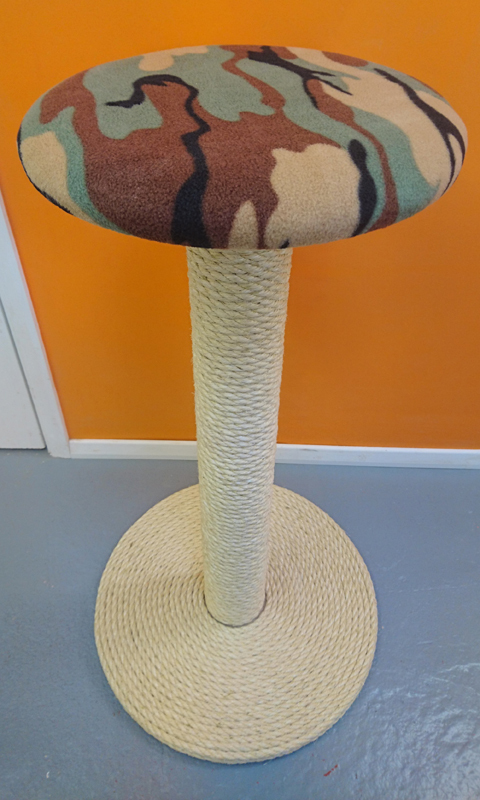 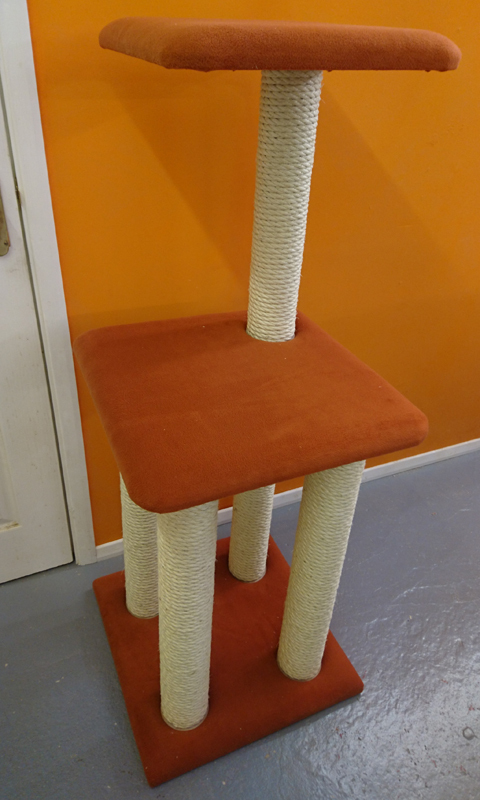 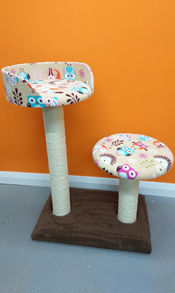 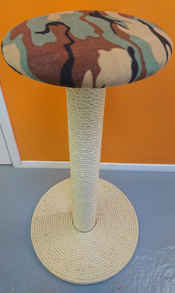 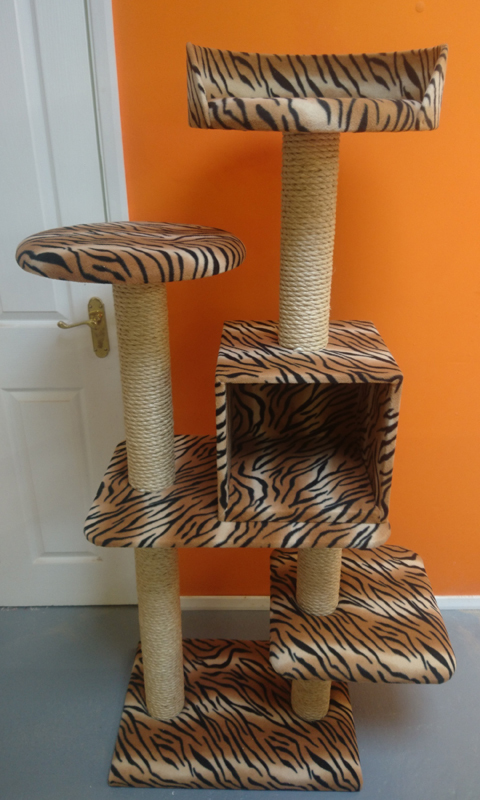 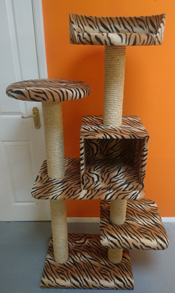 Our customer liked our SC-007 large platform cat scratching post from our original range, but wanted to add another post and smaller higher platform to it. 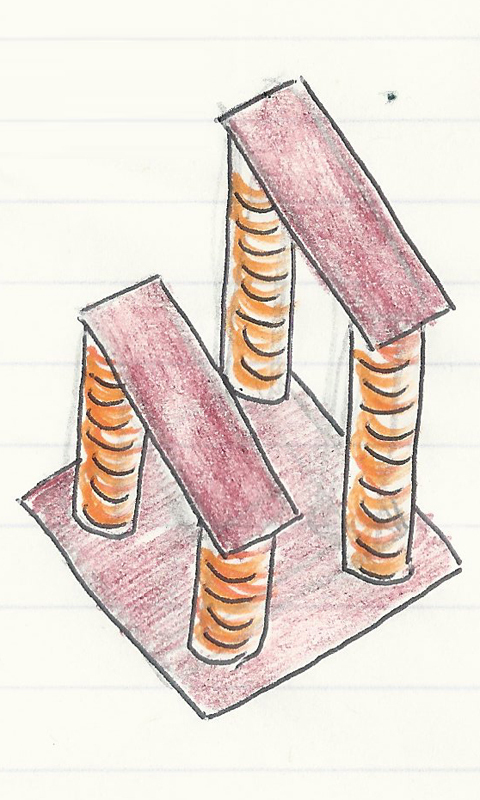 A quick sketch to confirm we were on the same page and we soon turned her vision into a reality. 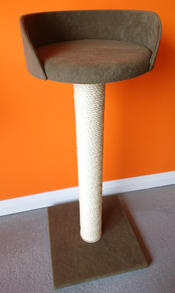 ScratchyCats. 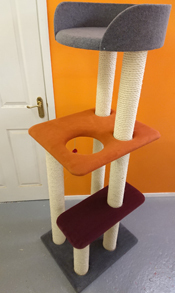 Unit 2, Buttlands Industrial Estate, Ipplepen, Newton Abbot, Devon, TQ12 5UE. 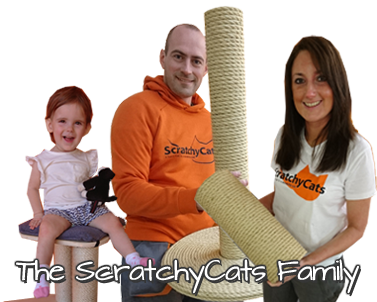 Visiting the ScratchyCats workshop by appointment only please.